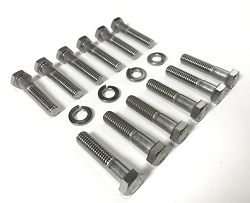 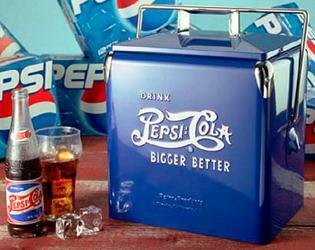 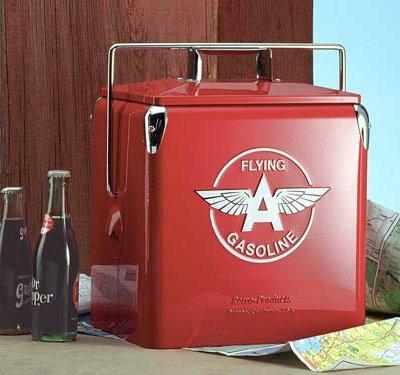 Our coolers are exact replicas of the 1940's through 1950's all steel "six pack" Temprite and Action picnic coolers. 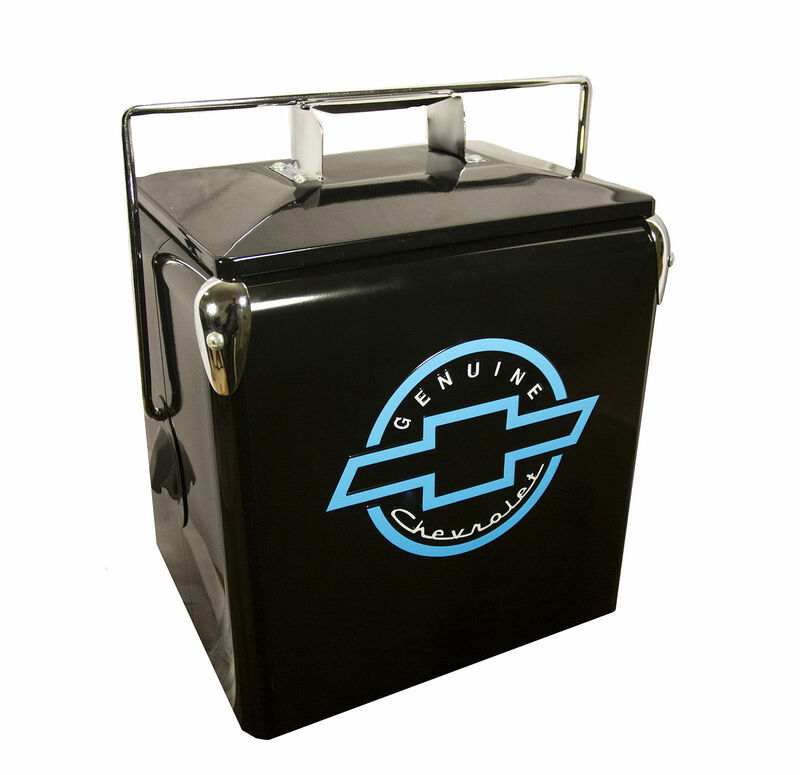 The Junior model, the most popular of the collectible coolers, features chrome corners on the top edge, a chrome handle and a chrome-locking bar. 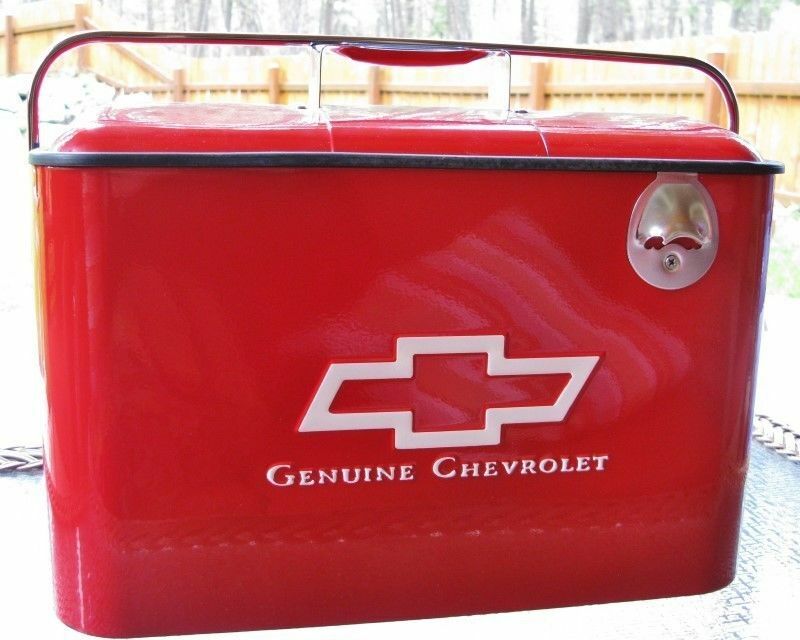 There is a built-in bottle opener on the side.